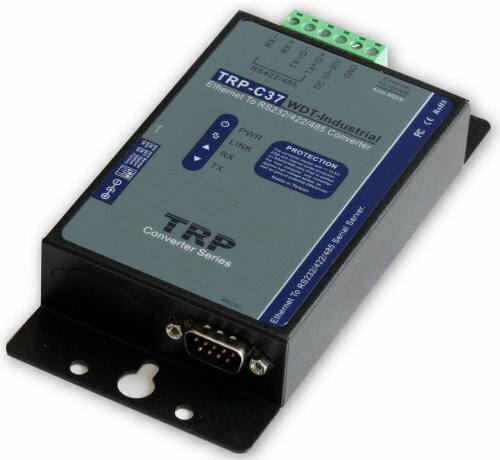 TRP-C37 is suitable industrial environment Ethernet serial server, wide range power input and serial communicate protection, Built-in surge, over current ,over voltage ensure long distance serial quality , the RS485 interface built-in hardware decoder ensure RS485 data without lost and fast direction switching , Specify hardware can keep on line RS485 device working fine; Increase external watchdog function will auto reset when Ethernet serial server or power fail, if careless lost password or IP that can easy to back to factory by external switch. 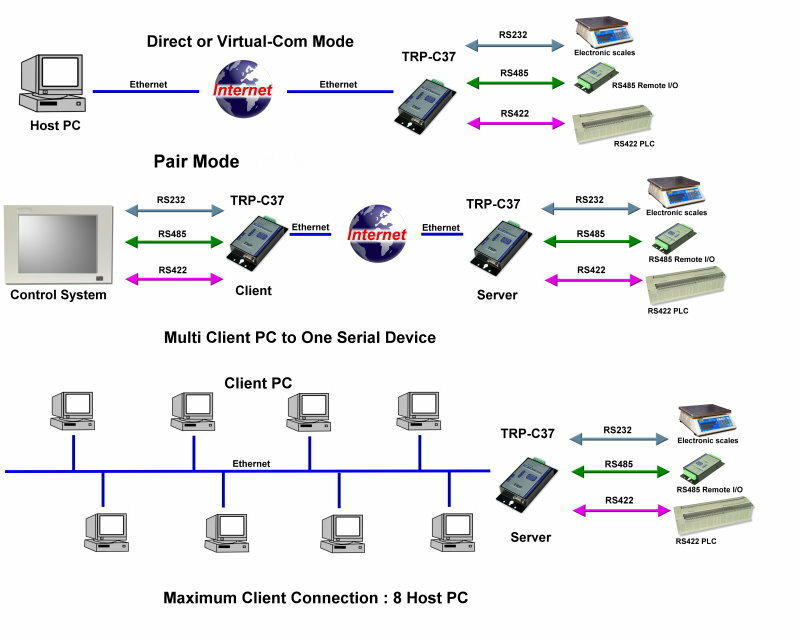 The TRP-C37 operates in “Direct IP Mode”, “Virtual COM Mode”, and “Paired Mode”. 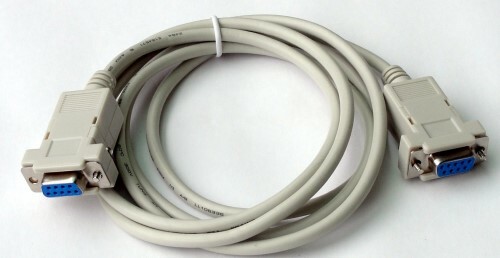 It has one DB-9 serial port for RS232 connector and screw terminal block for RS422/485 and power . Virtual COM drivers for Windows 98/WIN2000/WIN XP/Vista/WIN2003/WIN 7/WIN8/WIN8.1 and WIN10.